Like so much of the Northeast coast, New Jersey&apos;s Raritan Yacht Club took a devastating beating from last October&apos;s Hurricane Sandy. But marina developer Structurmarine has helped the yacht club resume its full schedule of cruising and racing activities and events. 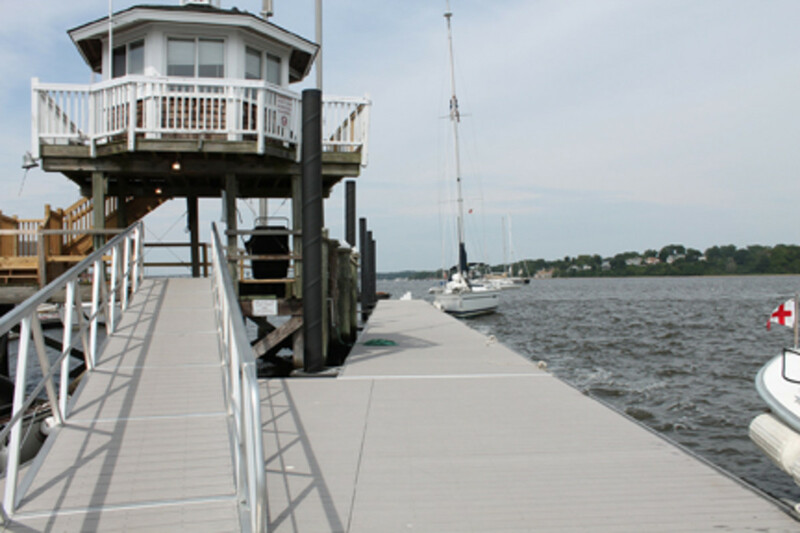 One of the oldest yachting organizations in America, the Raritan club is in Perth Amboy. It acts as a service point to a mooring field at the rugged and windy juncture of the Raritan Bay and Raritan River. Because its 215 moorings remained inaccessible after the superstorm damaged the original fixed docks, the club called on Structurmarine for its expertise in marina design and construction. Structurmarine recommended replacing the existing fixed docks with a floating design. The newly reconfigured docks are more economical and efficient with easier side access, according to Structurmarine&apos;s Bruno Nolet, who acted as the project&apos;s sales manager. A new layout improves operations by accommodating the maximum number of vessels. Boats 30 to 40 feet can access electricity and water pedestals at the slips. Nolet said the most challenging feature of the project was meeting the needs of the busy club&apos;s membership. "On any given weekday, up to 100 boaters might require access to their boats simultaneously. Our goal was to increase accessibility while also delivering comfort and ease to the users," he said.